While hair loss in men is tolerated and even expected, women face a different situation altogether. Long, beautiful hair is a major part of a woman’s image and its loss goes against this feminine ideal, striking a powerful blow to a woman’s self-esteem. Unfortunately, hair loss in women isn’t as common and dramatic as male pattern baldness so people mistakenly assume it doesn’t exist. It’s a horrible situation that forces some women to suffer in silence when they should instead be seeking help. Heredity: Genetic predisposition is the most common cause of female hair loss where you can inherit a sensitivity of hair follicles to DHT. 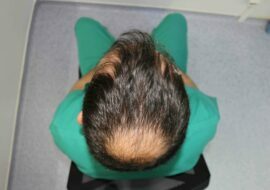 In this condition called androgenetic alopecia, DHT causes the hair follicles to shrink with each successive regrowth and eventually disappear altogether. Hormonal disturbances: The proper functioning of the female body requires an equilibrium of the many hormones working in concert. That’s why imbalances can cause various effects including hair loss. The hormonal imbalance may be due to pregnancy, childbirth, menopause or use of contraception. Scalp infections: Infections such as ringworms can cause scaly patches and hair loss. Simply treating these infections usually allows the hair to grow back. Autoimmune disorder: In some women, hair loss may be caused by an attack of the immune system on hair follicles causing a type of patchy hair loss called Alopecia areata. Other autoimmune disorders like lupus can also cause hair loss. Intense emotional or physical stress: Physical stress such as accidents and childbirth may cause a temporary stop in hair growth as the body redirects its resources towards getting through the event. Emotional stress like depression may also have a similar effect on your hair. 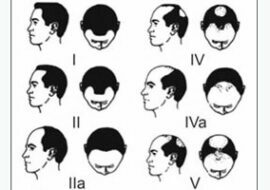 Medications: There are certain drugs that are known to cause hair loss. They include chemotherapy, blood pressure medications, antidepressants and HIV medications. Certain hairstyles: Excessive use of hairstyles that pull on your hair like ponytails, cornrows and pigtails can cause a type of hair loss called traction alopecia. These hairstyles cause damage to hair follicles and can cause permanent hair loss if significant scarring occurs. Minoxidil: This is the drug most recommended for female pattern baldness. It’s actually more effective in females than males at limiting hair loss due to androgenetic alopecia. 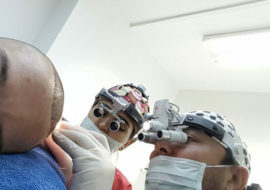 The drug requires constant daily application to have an effect; stopping application of the drug will cause any hair growing due to minoxidil to fall out within 3-4 months. Spironolactone: This drug belongs to a class of drugs called potassium-sparing diuretics. It’s usually involved in the treatment of oedema (fluid accumulation in tissue), heart failure and high blood pressure. Incidentally, spironolactone has the added effect of blocking the action of male hormones like DHT. This makes it useful in treatment of female hair loss. Finasteride: Unlike in treatment of male baldness,finasteride is faced with some controversy over its effectiveness in female hair loss. Despite this, there’s some evidence that finasteride does help limit hair loss in female pattern baldness, hence some doctors recommend it for treatment. However, it’s not prescribed to pregnant women or those planning to conceive since it is associated with birth defects. Corticosteroids: These come in handy for treatment of alopecia areata, an autoimmune condition causing hair to fall out in clumps. Corticosteroids help limit the inflammation that accompanies this condition, promoting faster recovery. Eat a healthy diet to ensure your hair has enough minerals and vitamins to grow. Find out from your doctor if any medication you take could cause hair loss and switch to an alternative if possible. Avoid compulsively twisting or pulling your hair. Reduce the use of heat-styling tools like blow-dryers, curling irons and flat irons.